There’s a first time for everything in a person’s life: the first time you get caught in a blizzard in the American Mid-West and wonder if you’ll ever escape the endless fields of snow. The first time you realize that you want to live anywhere besides a small town in the Mid-West. And the first time you see a movie that actually seems to revel in being about the American Mid-West and wonder why the hell anyone finds us so darn interesting. Last week Aaron unearthed a giant hunk of metal known as The Iron Giant because of its theatrical rerelease. This week Michael takes Aaron out from under the proverbial rock on a movie whose TV show returns for its second season this coming Monday. Michael Ornelas: We’re doing a pretty good job getting through my all-time favorites list already with this and The Usual Suspects from a few weeks ago. I didn’t see Fargo until I was a sophomore or junior in college, but in the 5-6 years since that time, I’ve rewatched it probably a dozen times. It’s one of those movies that whenever I find out a friend hasn’t seen it, I get giddy at the chance to sit down and watch it with him. So naturally, when I found out you hadn’t seen it…giddiness ensued. Aaron Hubbard: I think it would be hard not to be giddy when thinking about this movie. I’ve known surprisingly little about this; I knew that the protagonist was extremely likable, and I knew it was about a murder mystery. I also know it’s a Coens Film; since those two pretty much always make amazing movies, I was very excited to see this. It actually exceeded my expectations; I loved almost everything in this movie. I laughed a great deal, I found the characters interesting and enjoyable, and I kind of want to throw it back in my DVD player again. Michael: Yeah, super-pregnant cop Marge Gunderson is “always such a nice lady.” She gave this movie so much of its charm, and almost all of levity needed to juxtapose the incredibly dark underbelly of the crimes happening. Steve Buscemi’s Carl and Peter Stormare’s Gaear are forces of evil sweeping through the Midwest and disrupting this innocent town of Brainerd (and Fargo as well). Their violence is disturbing in ways that I once laughed at (because of the way the Coens shot it), but now I just get uncomfortable (namely their interactions with Jean Lundegaard and the agony she must be in, despite running around comically like a chicken with her head cut off and bumping into things). But the small scale of the events of the movie, when contrasted with the naivete of the region, makes every little thing feel so much bigger. I mean, a movie with a body count of six isn’t exactly terrifying on paper, but each and every one turns my stomach. Aaron: I totally get you. The overall feel of the movie is pretty bleak; it’s mostly bad men during horrible things to people, including each other. But I think it’s a credit to the Coens and Frances McDormand that Marge and her unflinching optimism and kindness are the things that end up defining the film. For me anyway. I think they spend a lot of effort in showing how much crap she has to deal with; the stupid college girls at the bar who can’t provide any real description, her old friend that’s completely lonely and creepy, and of course, being pregnant. She’s an argument that the world is what we make of it; just because things are horrible doesn’t mean we have to be horrible. And I think that’s why we accept it when she says something as well… preachy as “there’s more to life than money” because she’s clearly figured out the key to her own happiness. Michael: And to support that, there’s the sweetest person in film history: her husband Norm. He’s in so little of the movie, but I always remember him because he adds to the humanity of the film. He and Marge are a perfect match, and it just makes me happy, despite all the horrid things that have happened. Speaking of horrid, there’s something I’d mentioned to you that you actually disagreed with, and that is the fact that Frank Lundegaard (played by William H. Macy) is one of the most annoying characters of all time. I’m personally very logic and reason-driven, and to see the way that he has none of that, yet goes in circles to try and present himself that way in the most bullheaded ways, annoys me to no end. He’s a coward, he’s stupid, and seeing him dragged out of his hotel room window, caught by cops, at the end of the film is so so satisfying to me as a viewer. Aaron: So, basically he’s an unsympathetic villain with no motive that makes any sense, so you don’t like him. I don’t disagree with you, but I do think that he’s more entertaining than annoying. I enjoyed watching him squirm in misery. For me, the only character that was annoying was Steve Buscemi’s character. He never stopped talking or complaining, and I felt myself being in Gaear’s shoes for most of their scenes together. Not that I’m going to put people through a woodchipper for annoying me. I also got a huge kick out of the scene where Carl is assaulted by Shep Proudfoot. Now that’s comedy. Michael: Yeah, it was a great punchline! …I’m sorry I whipped that out. I feel like I’m developing Aaronisms, and I don’t like it. Aaron: You really shouldn’t. Only I can belt out puns ad nauseum and come out of it okay. Michael: I think one of the things that separates this movie from other murder mysteries (well, I guess it’s not a mystery since they’re shown on-screen as they happen) is that so much detail goes into Midwesternizing the movie. As someone who spent seven years of his life in Chicago, I can attest to the character that the town adds to this movie. Every bit part counts. It’s so easy for movies to rely on their plot to drive viewer interest forward, and it loses steam until we arrive at the next plot point. This movie sits back and enjoys the moments between plot points, yet manages to get everything done with in 98 minutes. I’ve seen movies two and a half hours long that didn’t accomplish what Fargo did in terms of amount of plot, detail, characterization, and pacing. I really couldn’t tell you a flaw with this movie. Aaron: I can’t think of anything either, to be honest. It held my attention and got me invested in most of the characters. I wasn’t really into Frank’s father-in-law and Buscemi teetered on genuinely annoying me, but those are minor nitpicks. The film’s story, some truly memorable payoffs, and quite possibly the best female lead I can recall make this one of my new favorites. Michael: Yay! Another perfect score, and now I just have to recommend that you watch the TV series because while it’s not done by the Coens, it feels exactly like the movie in terms of tone. And one last piece of trivia about this movie: legend has it that some lady died looking for the buried money because the opening said that this was a true story. It wasn’t though, and her death forced the Coens’ hands in admitting to that fact. Aaron: They made a movie about that urban myth. Came out last year. “Kumiko, The Treasure Hunter.” And I kind of want to check it out now that I know the context. Michael: I thought you were going to say “Dora the Explorer” but it’s evident that she didn’t have a Map. What would you have done for Mr. Lundegaard’s money? Let us know in the comments! Aaron: Well, we are officially in October, so I think it’s only fitting that we start throwing movies about monsters, serial killers and other scary things at each other. Don’t you think? Michael: I mean, what format are the movies that we’re throwing at each other? VHS tapes would probably hurt, but DVDs and Blu-rays aren’t so bad. Aaron: Film reels. I will bury you in them and set you on fire. Michael: That’s a glourious reference. Or an inglourious one, perhaps. Anyways, I’m going psycho from the anticipation. What’s your next pick? Aaron: Not so much. I actually watched this movie for the first time minutes after watching Fargo and was not sure what to make of it. It’s a very good film, but I had to do a bit of research to figure out what exactly it was trying to say. If nothing else, it made Christian Bale a household name. Michael: Now you’re speaking my language! 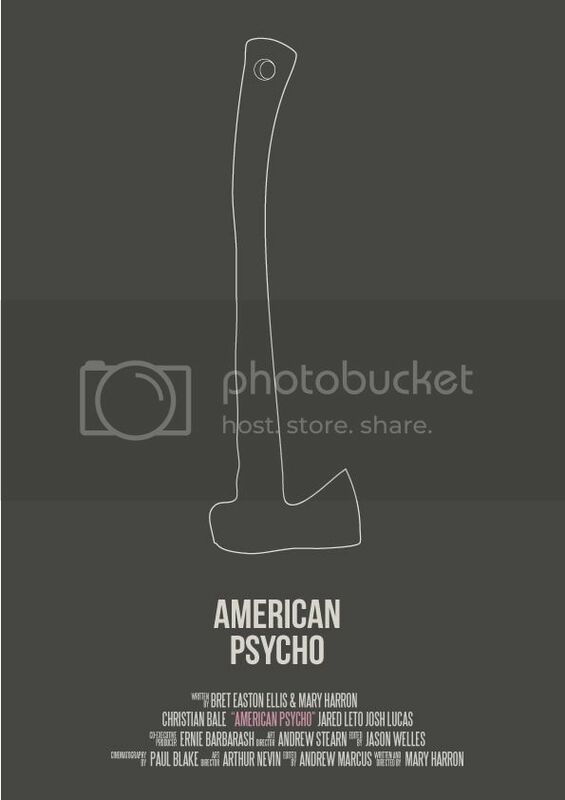 What is American Psycho actually about? Or is it about anything at all? Nothing wrong with high-class slasher films. 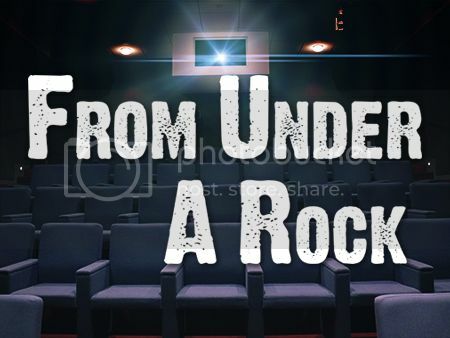 On this week’s edition of the “From Under A Rock” podcast, Michael selects Pulp Fiction because Steven somehow lived to be 25 and still hadn’t seen this masterpiece. E-mail the podcast (listed below) a discussion question about one of our next two movies: Signs and The Babadook and be entered into a drawing to win a copy of Alien on Blu-ray! The Coen Brothers’ story of a small town with a horrible string of murders is an all-time classic that will definitely stand the test of time. Between Frances McDormand’s sunny acting, the Midwestern flavor, the perfect pacing, and the pitch-perfect script, Fargo has earned itself From Under A Rock’s second perfect rating. If you haven’t seen this one already, be sure to add it to the list (and put it toward the top).